Yes, I'd like to stay in touch and receive Midas Gold project updates. 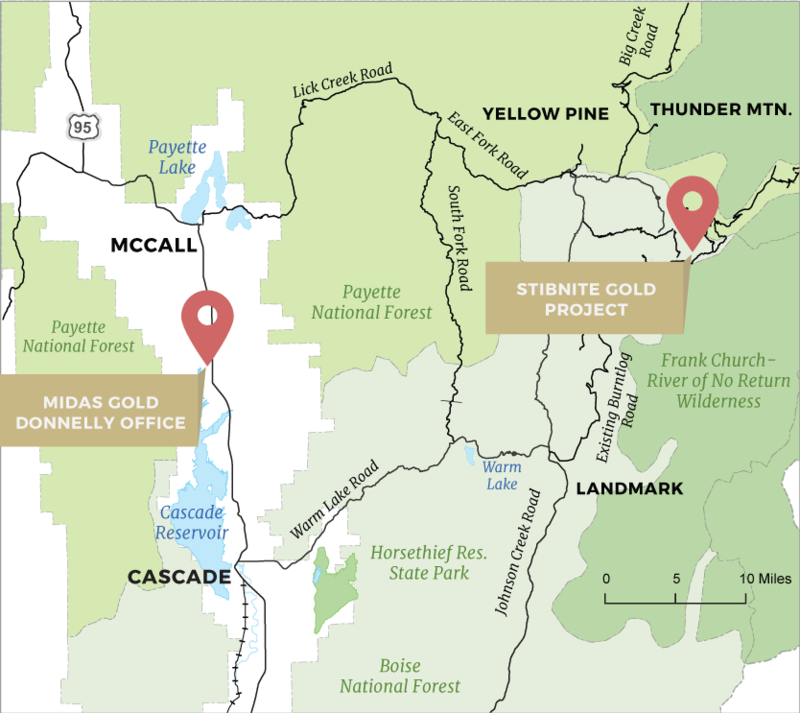 The Stibnite Gold Project is located 39 miles east of McCall and just outside of Yellow Pine. Many recreational groups, hikers and outfitters use this area often. Please travel safely and watch for posted signs when approaching the site. Guided tours are also seasonally available. Please send us an email to sign up or if you’d like more information. Our main office is located in Donnelly, Idaho at 13181 Highway 55. We also have an office in downtown Boise at 405 S 8th St. #201 and in Vancouver, Canada at 999 W Hastings St. #1250.